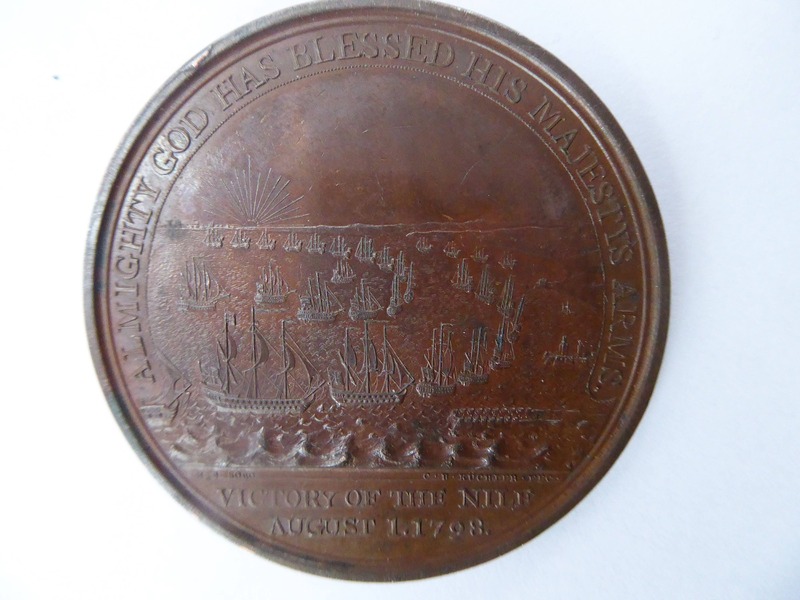 This late 18th-century medal was struck to the order of Alexander Davison by Matthew Boulton with the dies made by CH Kuchler. 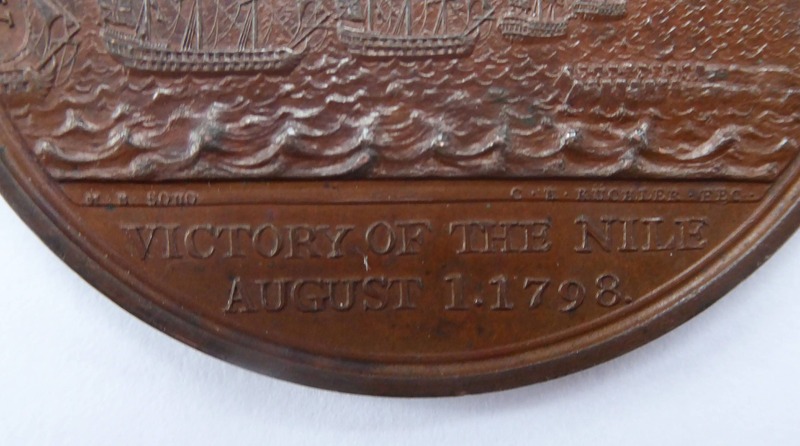 These medals were all privately struck and it was the first medal to be awarded to every participant in Naval action. 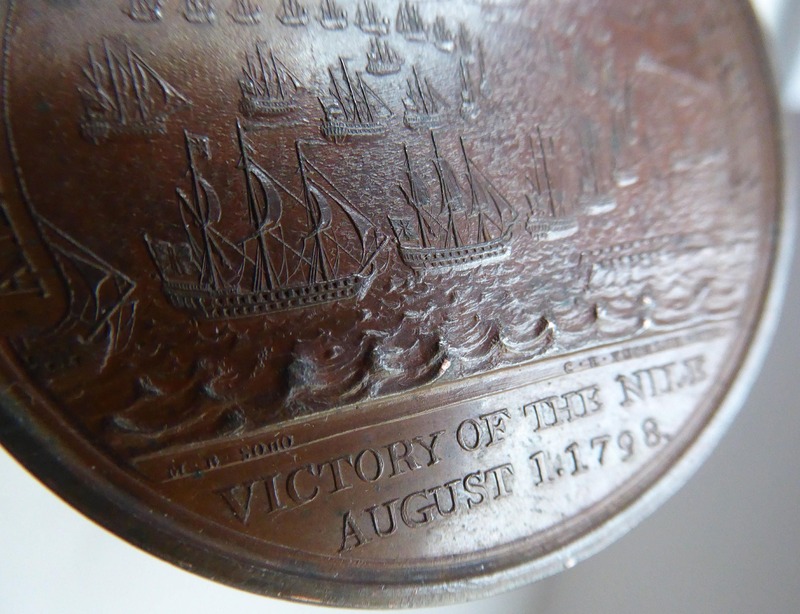 There were a total of 25 gold medals made solely for Nelson and his Captains, 150 were struci in silver for the Officers and 500 copper gilt for Petty Officers. 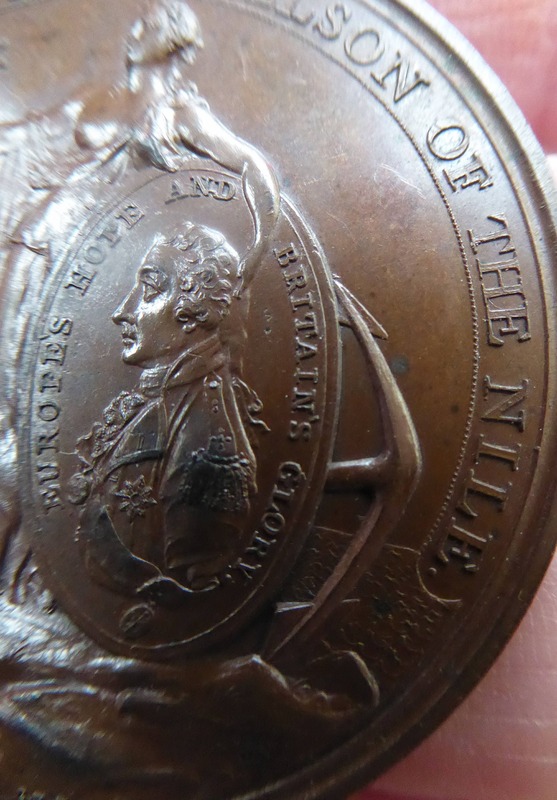 This is one of 6,000 bronze ones issued to other ranks. 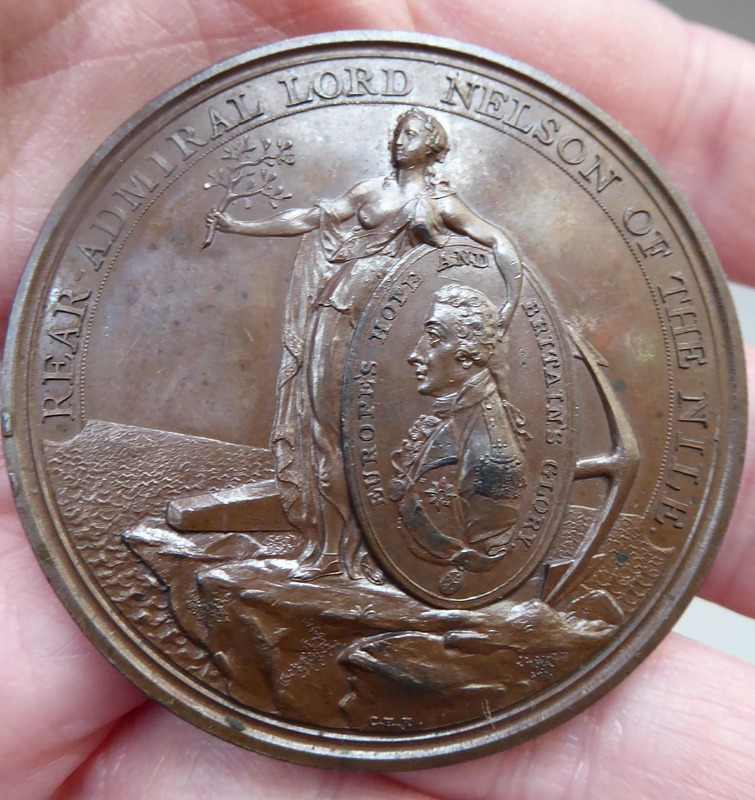 The obverse is very fine and shows Peace standing on a rock holding an olive branch - she bears a shield in front with ia decorated with a portrait of Nelson. 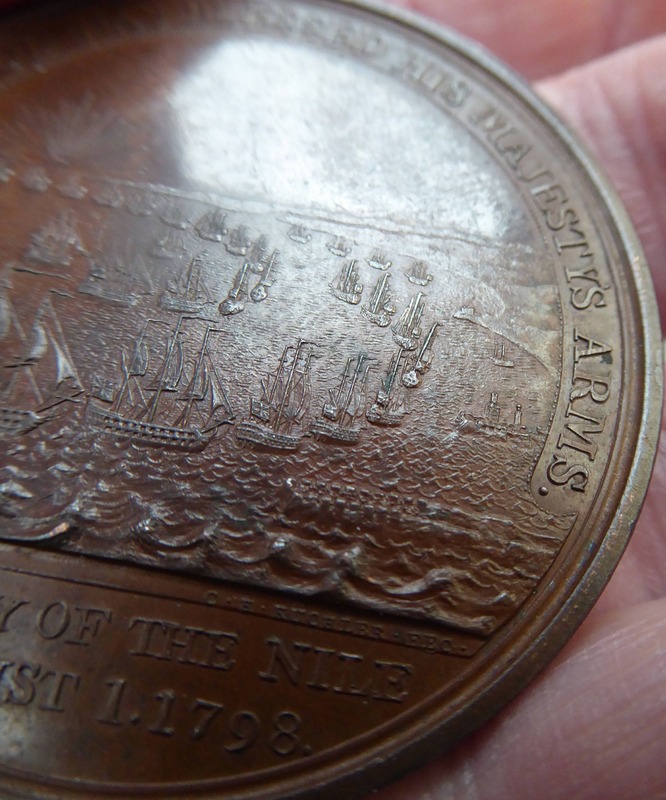 The reverse of the metal has a view with the opening stages of the Battle of the Nile. Around the edge is the engraved inscription: "From Alexr. Davison Esq. St Jamess Square-A tribute of regard"
The metal is 4.7 cm in dimeter. 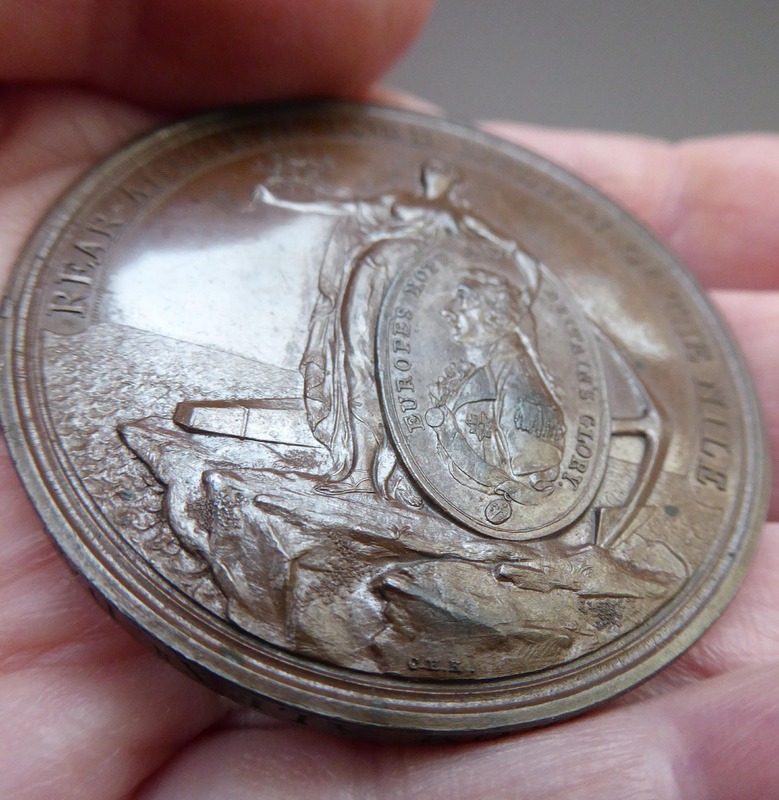 Please note I am not a specialist medal dealer - so can only give the condition is being a fine example - with nice crisp details and no rubbing to the surface. 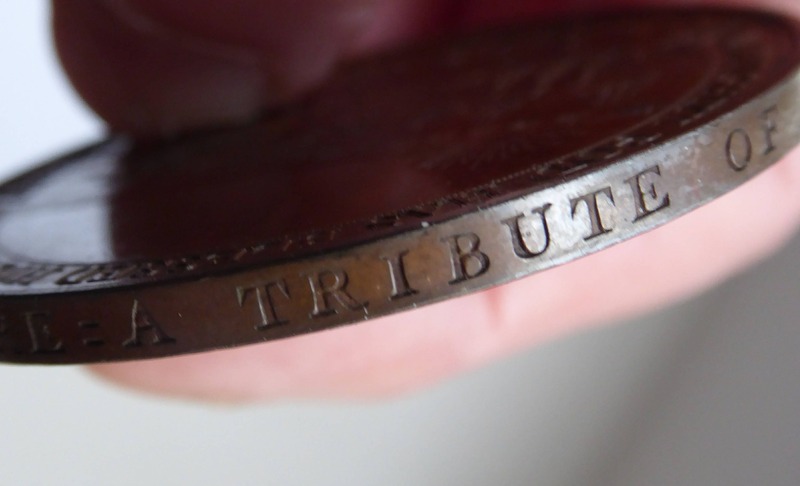 The details are fine - the only issue is a couple of black spot of oxidisation on the obverse, as you can see clearly in my photographs. No dings to the rim and no nasty scratches etc. I have not cleaned or polished and only wiped with a damp cloth. It retains natural patina of age. Sadly it no longer has its original box (if there ever was one!). 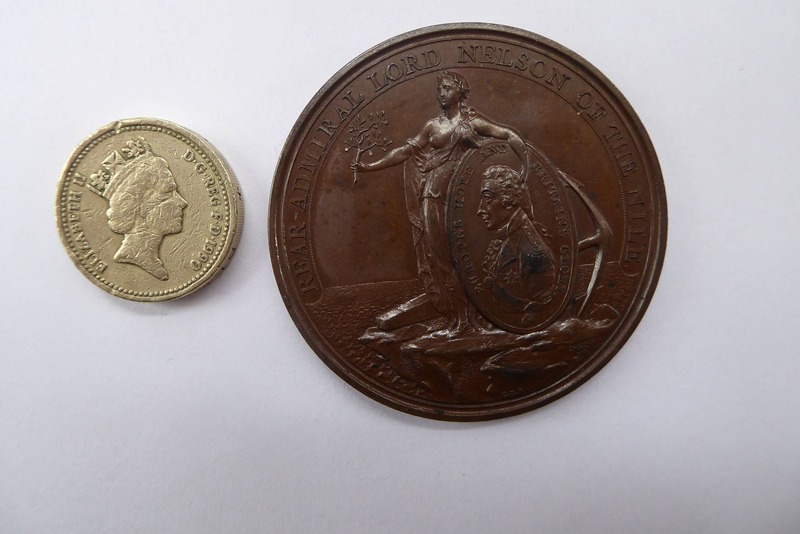 More photographs can be supplied on demand for serious interest. Full insured shipping to UK addresses only with Royal Mail Next Day Special Delivery.